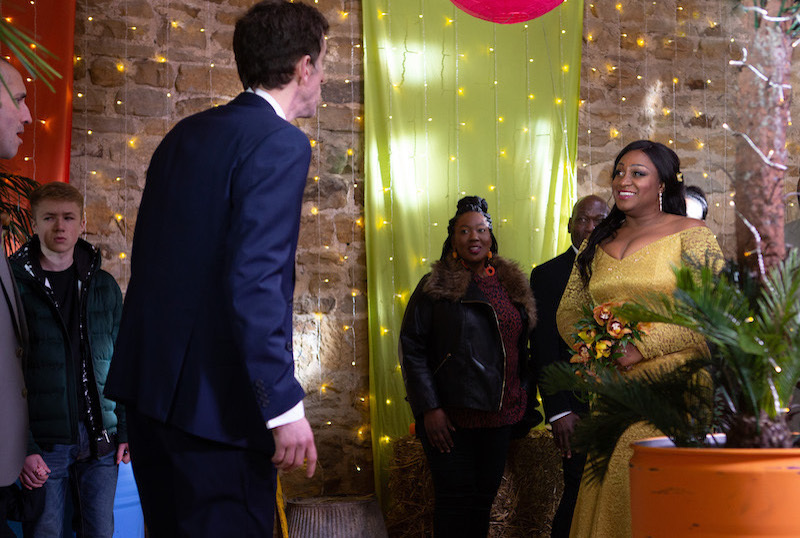 EMMERDALE EPISODES: Its Christmas in the village and there are surprises for two Dingle men as Marlon finds out Jessie has planned a surprise wedding – only Sam thought he was the groom! 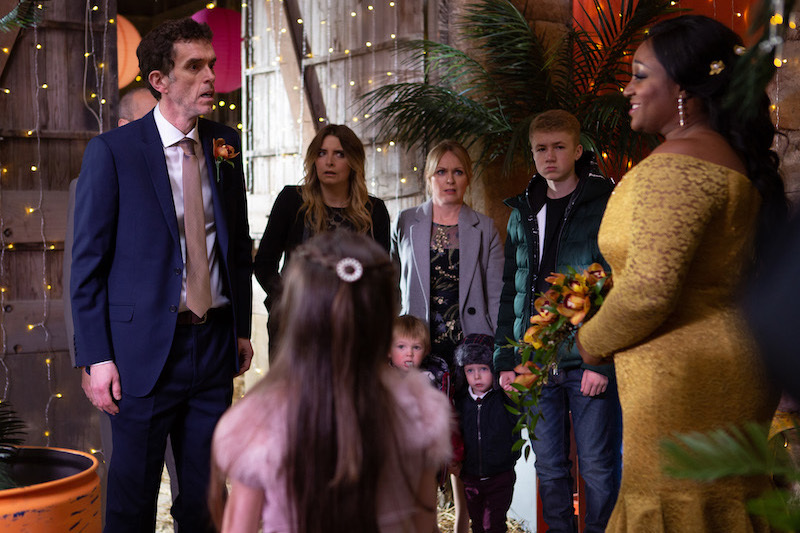 Bob takes drastic steps to give the twins the present they want, Bernice and Nicola go to war over the dinner and David nearly catches Maya and Jacob in a clinch. 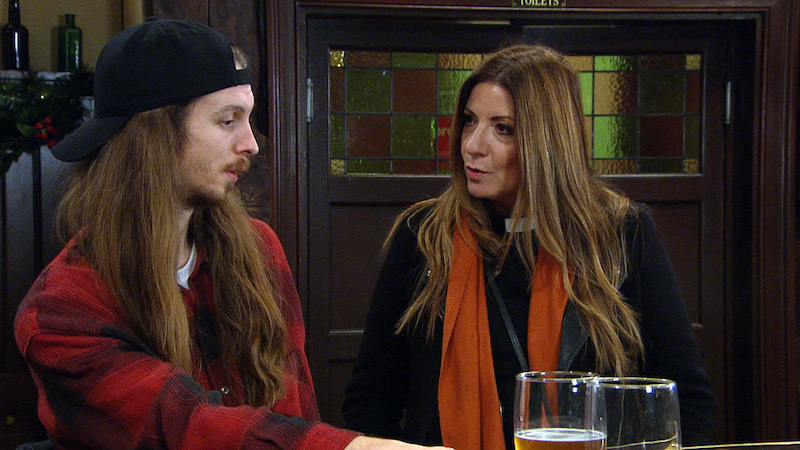 As the New Year arrives, Matty and Cain are attacked, while Bernice puts herself in danger! Merry Christmas, you filthy animals! 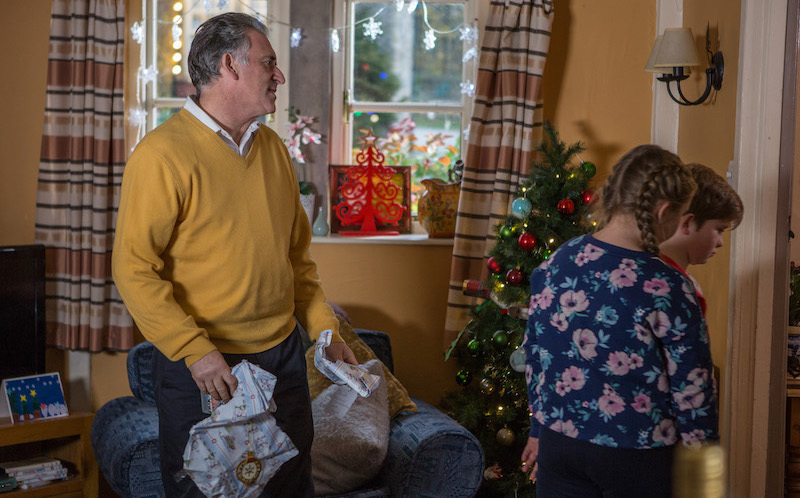 Don’t forget Christmas Day episode is on at 7.15pm and is a one hour episode. New Years Day is also a 60 minute episode. 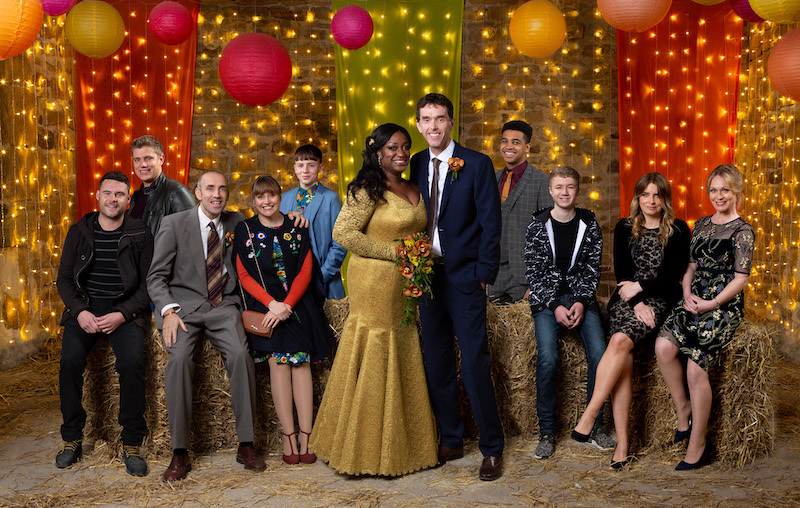 It’s Christmas in Emmerdale but that doesn’t mean the drama stops as Jessie springs a surprise wedding on Marlon! Mon 24 Dec 2018: Poor Bob Hope is on a downer. He’s owing money all over the place and can’t even afford presents for his rather demanding kids. 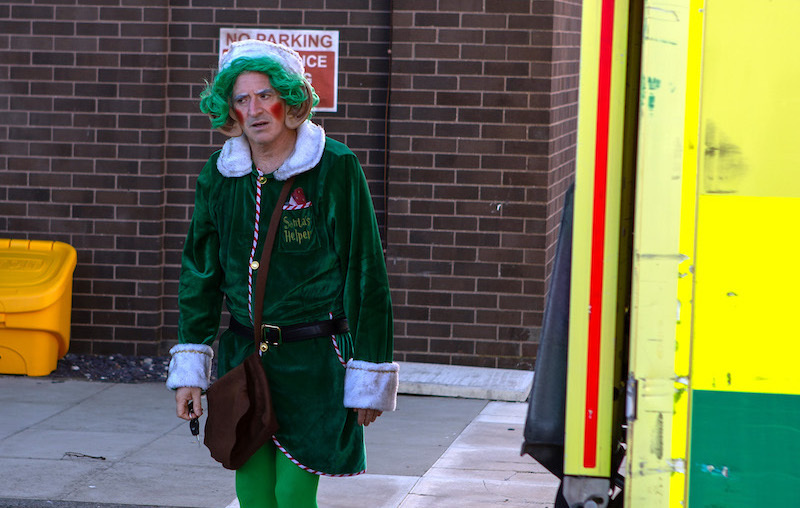 He even considers stealing from the hospital charity gifts but can he really sink so low? 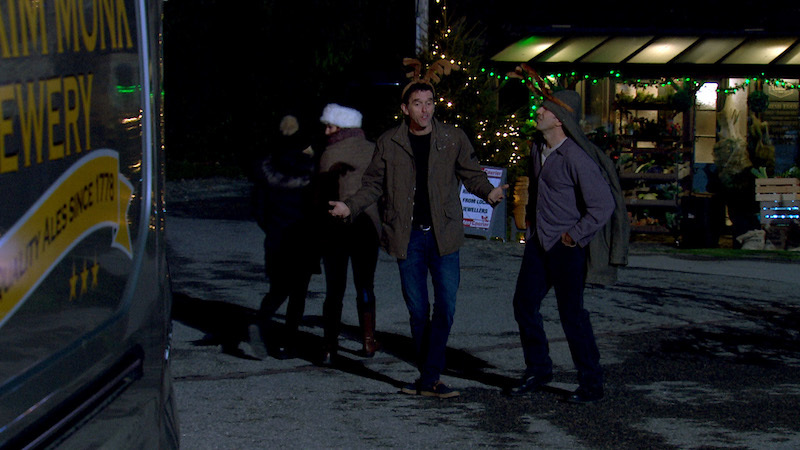 Mon 24 Dec 2018: Marlon Dingle and Sam Dingle enjoy a night on the tiles for the groom’s stag do… but who is the groom? 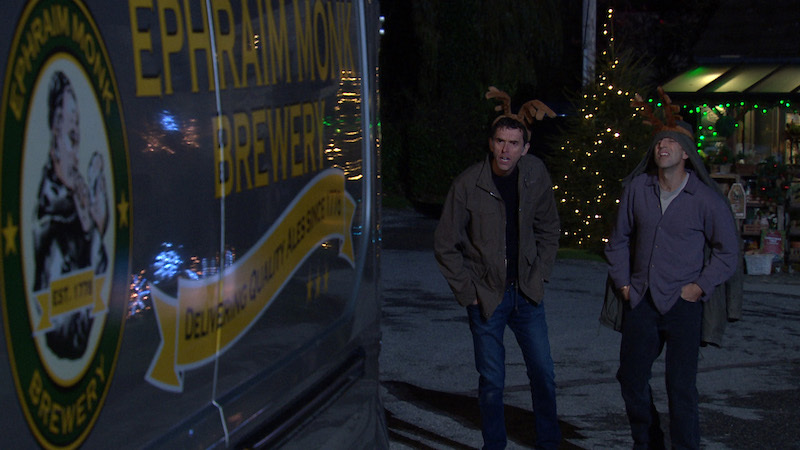 Mon 24 Dec 2018: As Marlon Dingle and Sam Dingle stagger down Main Street, they stop in their tracks to see the truck containing Charity’s booze delivery sitting open. Tues 25 Dec 2018: Bob Hope pawns his new watch in order to get the twins the presents they want. Tues 25 Dec 2018: Bob Hope fails to impress when he buys the kids the wrong gifts. Tues 25 Dec 2018: Can Bob Hope get himself out of his mounting debts and grim situation? Tues 25 Dec 2018: Once alone Jacob Gallagher hands Maya a present and they kiss. Tues 25 Dec 2018: Soon the guests start to arrive, oblivious to the fact they’re actually attending a wedding. 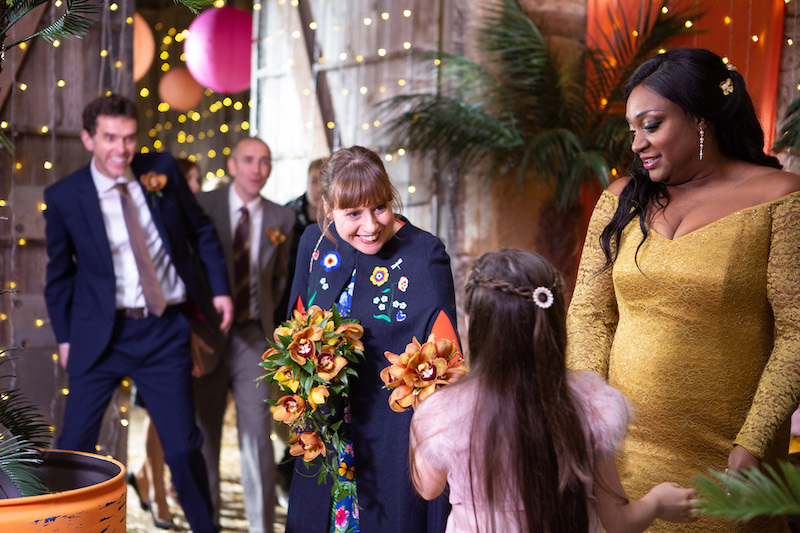 Tues 25 Dec 2018: The rift between Nicola King and Bernice Blackstock is a gaping chasm and soon Rodney arrives attempting to unite the sisters by inviting them all to dinner. 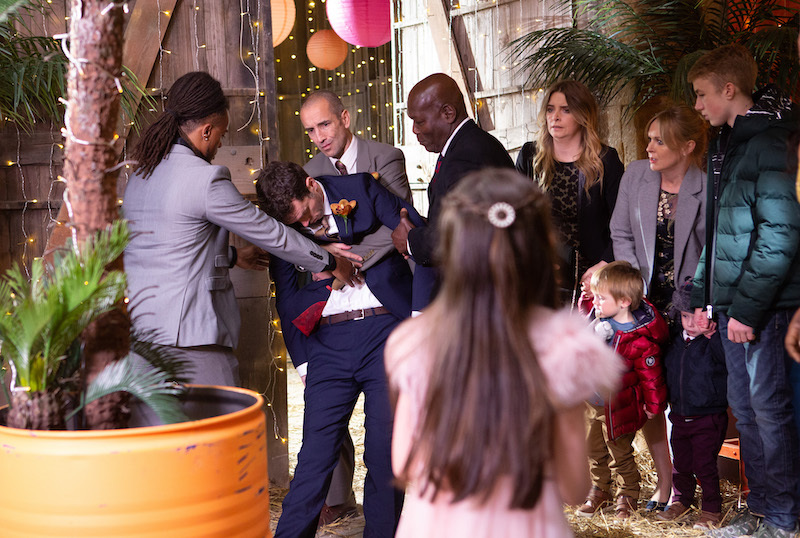 Tues 25 Dec 2018: Things go from bad to worse when Nicola and Jimmy realise they’re not welcome and Liam dishes up tiny portions for the unexpected guests. Could this meal go from bad to worse especially as trifle is on the menu? Fri 28 Dec 2018: Bernice Blackstock is in denial about her upcoming 50th birthday and freaks when she thinks Diane might have told Liam her age. 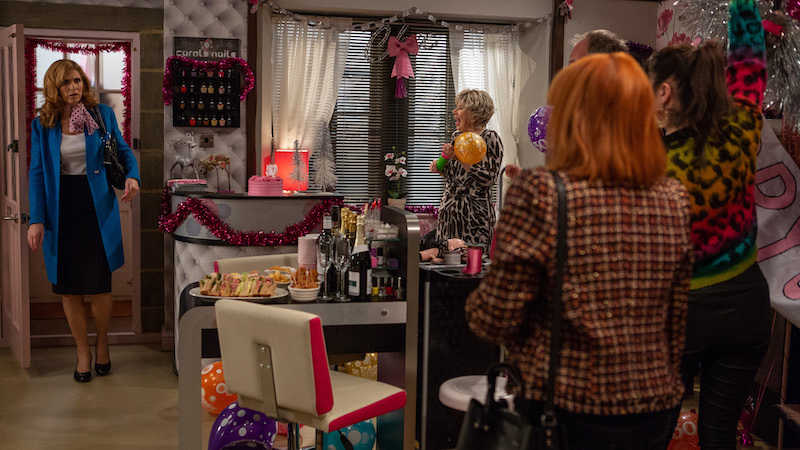 Fri 28 Dec 2018: Before long Bernice is furious when she sees the Salon decorated for her 50th. Determined to hate every second she pops all the balloons. 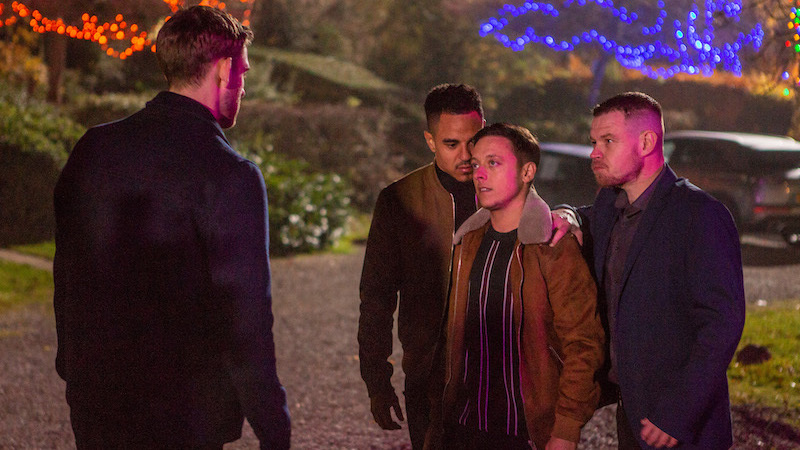 Mon 31 Dec 2018: Matty Barton runs into a former boyfriend Isaac and his mates at a New Year’s Eve Party. 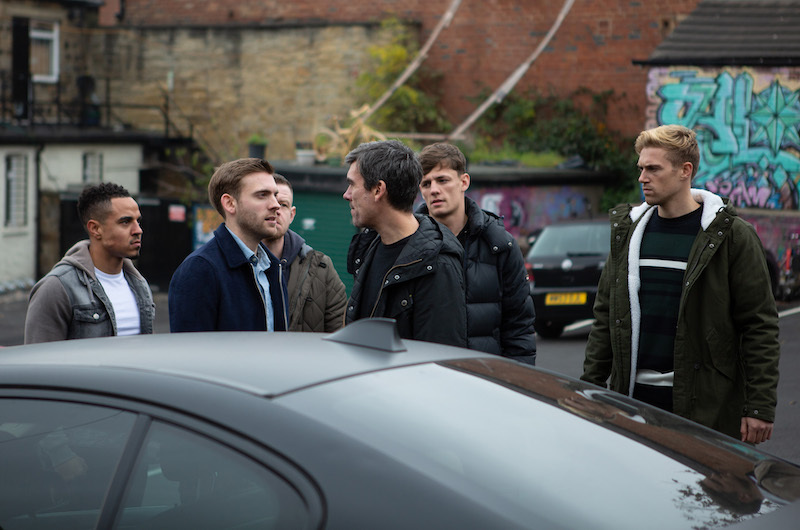 Mon 31 Dec 2018: Isaac is stunned to discover Hannah is now Matty Barton and his mates start to mock him for dating a bloke. 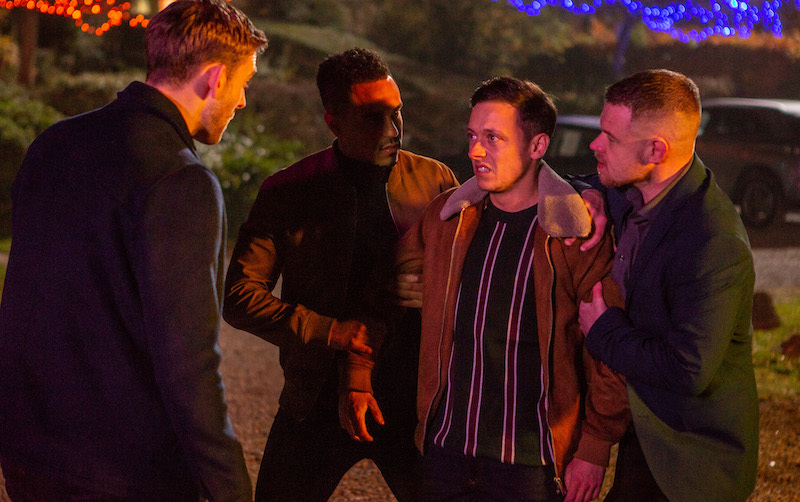 Mon 31 Dec 2018: Desperate to prove Matty Barton is a girl, Issac and his mates follow and attack Matty outside. 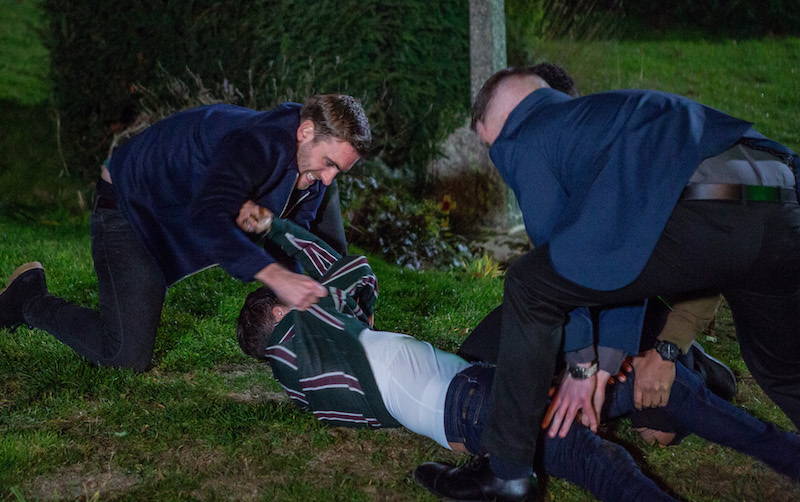 Mon 31 Dec 2018: Matty Barton is humiliated when Isaac and his mates strip him to his binder. 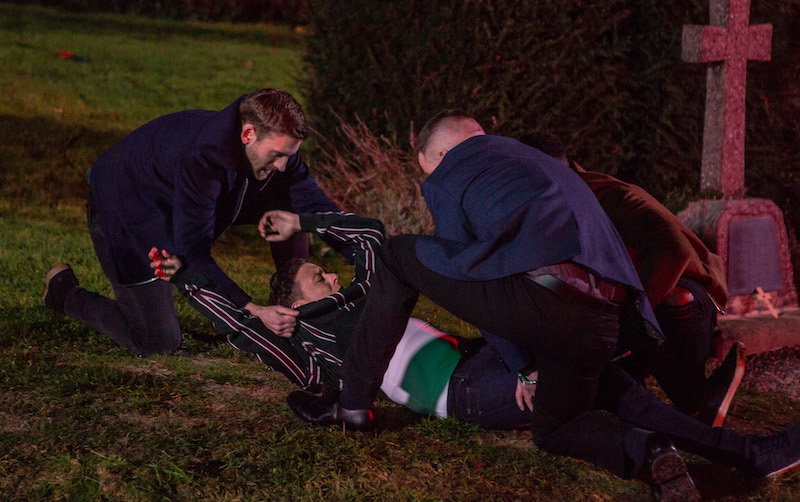 Mon 31 Dec 2018: Matty Barton is humiliated by the attack and is even more upset when Victoria finds him. 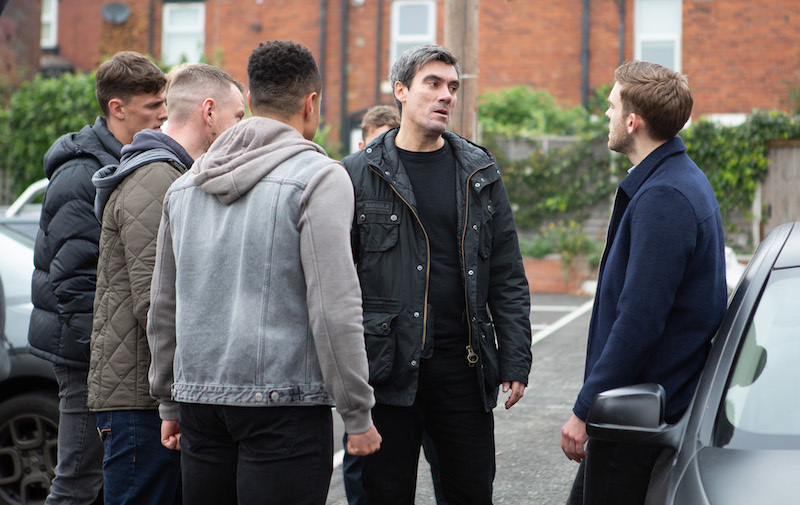 Tues 1 Jan 2019: Outside a pub, Cain Dingle watches in wait for Isaac to arrive. 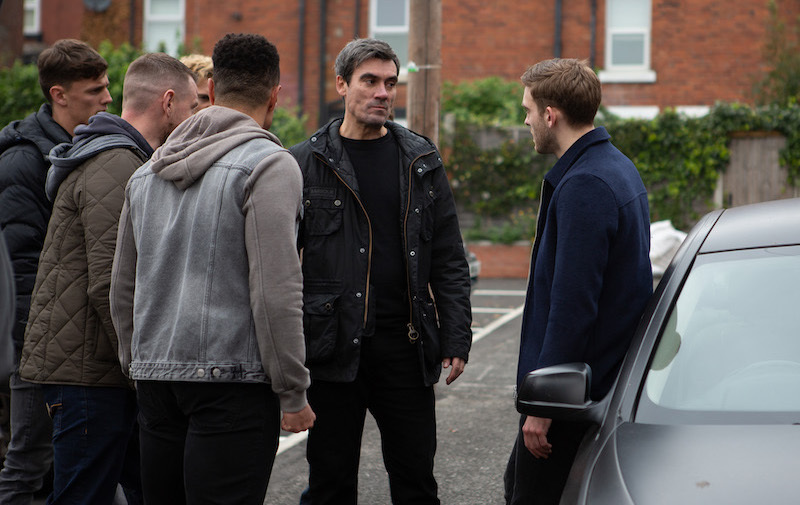 Tues 1 Jan 2019: Once Issac appears, Cain heads over to confront him. 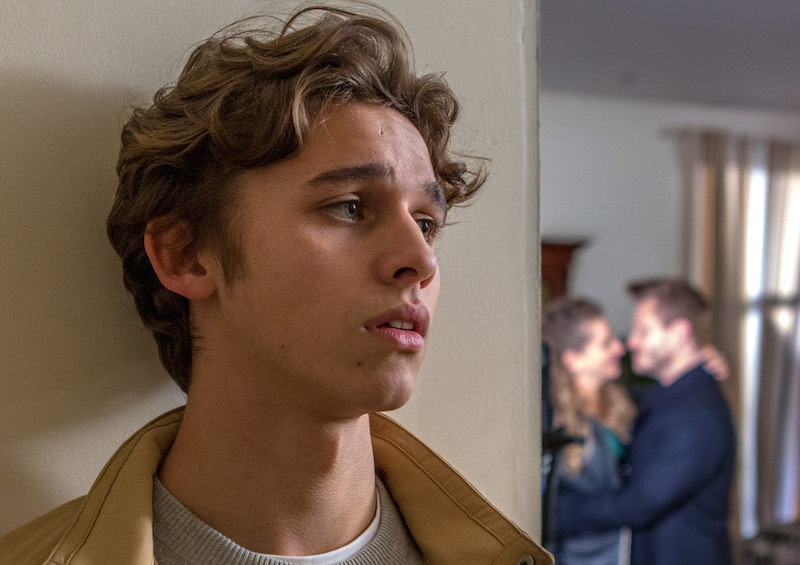 Tues 1 Jan 2019: Grabbing Issac by the collar, Cain suddenly freezes, having flashbacks of what happened to Joe and what he did to him. Tues 1 Jan 2019: Before long the violent gang of lads circle a frightened Cain and turn the tables on him. Wed 2nd Jan 2019: Feeling insecure once more Bernice Blackstock decides to go ahead with Botox. 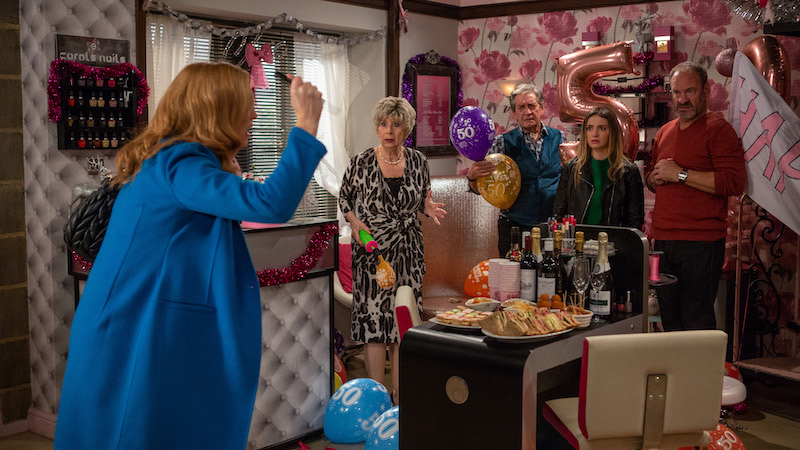 Wed 2nd Jan 2019: Panic sets in when they realise Bernice is having a reaction and struggling to breathe.